Urinary tract infections (UTIs) are common infections that affect different parts of the urinary tract, including the bladder (cystitis), urethra and kidneys. UTIs are generally caused by bacteria from faeces entering the urethra. The number of UTIs caused by drug-resistant bacteria is increasing, according to the English Surveillance Programme for Antimicrobial Utilisation and Resistance report last November. One in three (34%) of the samples analysed were found to be resistant to an antibiotic called trimethoprim, compared with 29.1% in 2015. New guidance intended to help combat drug-resistant urinary tract infections has been published by the National Institute for Health and Care Excellence (NICE). Separate draft guidance has been published for catheter-associated UTIs, recurrent UTIs, lower UTIs, acute prostatitis and acute pyelonephritis (infection in one or both kidneys). While most UTIs will require antibiotics, the guidance is intended to help healthcare professionals choose the most appropriate option. Inappropriate and overuse use of antibiotics fuels drug resistance. NICE says healthcare professionals should ask patients about the severity and regularity of their symptoms before they prescribe antibiotics. Needing to urinate more frequently or suddenly. Pain or burning on urination. Urine that is smelly, cloudy or contains blood. In older people, changes in behaviour, such as severe confusion or agitation. Conditions that block the urinary tract, such as kidney stones. Conditions that make it difficult to fully empty the bladder, such as an enlarged prostrate in men. Having a weakened immune system, from diabetes or chemotherapy, for example. Prevalence increases with age both in men and women. Explain there is inconclusive evidence that cranberry products and probiotics reduce the risk of UTIs. 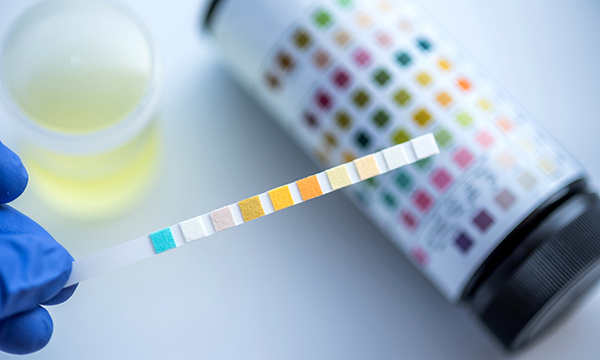 Advise patients that measures to reduce the risk of UTIs include: adequate fluid intake; not delaying urination; wiping from front to back; not douching or wearing tight underwear. Consider paracetamol for pain or, if preferred and suitable, ibuprofen. When prescribing antibiotics, take account of symptoms severity; risk of complications; previous urine culture results; and previous antibiotic use that may have led to resistant bacteria. Use narrow-spectrum antibiotics where possible. ‘UTIs can be debilitating, as those affected are stuck by the toilet and are often in pain, taking antibiotics frequently. ‘Urine should be tested for nitrates and a sample sent off for a culture before prescribing, if possible, to ensure people are on the correct antibiotic. If a patient needs immediate antibiotics, follow it up with a culture. Provide patients with general advice on avoiding UTIs. In my experience, GPs are not checking urine enough and are just prescribing antibiotics.